Who can participate? Does it have to be a dad? No! WatchDOGS are fathers, grandfathers, uncles, adult older brothers and other father figures. Do I have to make a regular commitment to be able to participate? Volunteer for a two hour block of time during our lunch and recess hours of 11:30 to 1:30. Our online calendar system will allow you to sign up for a time slot at your convenience. You can pick any day that works for you. Again, you can do this once the entire year, or every week! Click here to use our online scheduling system to sign up! Volunteer for an entire day. Many dads find it easier to be there for a large chunk of time. You tell us when you can come and we will prepare a schedule for your day at school, telling you exactly where to go and what you will be doing. This can include classroom time, lunch, recess, or wherever else you may be needed throughout the day. Do this once the entire year, or every week, it’s completely up to you! Click here to use our online scheduling system to sign up for a day that works for you! What will I be doing when I come to volunteer? If you choose to volunteer for an entire day, you will help in different ways throughout the day. This could include: greeting kids as they arrive on the buses, helping a teacher in class, playing with kids at recess, eating lunch with kids, helping in the library or another specialty class and helping with parent pickup at the end of the day. If you are volunteering just during the lunch and recess hours, you will be helping in the lunch room and eating lunch with kids, and playing/socializing with kids during recess. What happens when I arrive at school on the day I’m scheduled to volunteer? Every volunteer will check in at the main office in Building A upon arrival. You will sign in and put on your Watch D.O.G.S. t-shirt or name tag. A staff member will direct you to the playground or recess and let you know who to check in with when you get there. If you are volunteering for the entire day, you will get a detailed schedule and instructions. 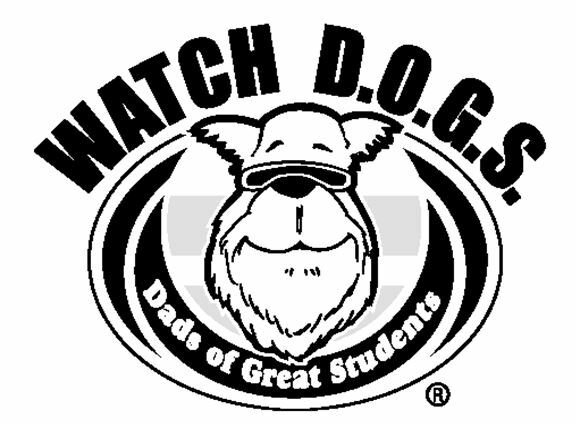 Fill out our Watch D.O.G.S. Enrollment Form ( Click here to view and print.) If you check the box to volunteer for an entire day, a member of our Top Dog Team will contact you to arrange this. If you check the box to volunteer for lunch and recess only, you will receive a text message with a link to our online calendar, which you can then use any time you want to volunteer throughout the year. You are welcome to check both boxes! *Every volunteer must also complete our district-wide background check. Background check forms are available in the office. You can stop in anytime and fill one out.